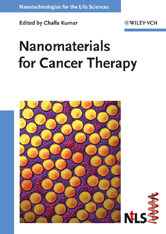 This first comprehensive overview on nanotechnological approaches to cancer therapy brings together therapeutic oncology and nanotechnology, showing the various strategic approaches to selectively eliminating cancerous cells without damaging the surrounding healthy tissue. The strategies covered include magnetic, optical, microwave and neutron absorption techniques, nanocapsules for active agents, nanoparticles as active agents, and active and passive targeting, while also dealing with fundamental aspects of how nanoparticles cross biological barriers. A valuable single source gathering the many articles published in specialized journals often difficult to locate for members of the other disciplines involved.